By Daniel Horowitz--Ben Stiller’s “Night at the Museum” has nothing on TOgether! When darkness falls on January 21st, United Jewish Appeal’s inaugural TOgether party will see the spectacular halls of Toronto’s Royal Ontario Museum come to life, but not with prehistoric figures and wild animals, but with an unforgettable evening of music, dancing and networking for over 800 of Jewish Toronto’s future leaders. 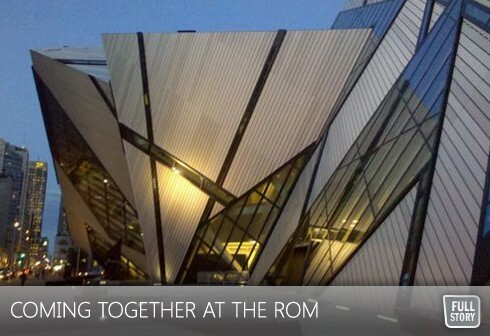 Chaired by Emily Burnett and Jay Klein, TOgether is modeled after similar events in New York and Chicago, and with it being held in one of Toronto’s most elegant and sought after venues, it should be an evening like no other. The goal of TOgether 2012 is to imbue a spirit of giving within young Jewish Torontonians, inspiring them to give to the causes they care most about. The event is open to those who make a minimum of $100 gift to the UJA annual campaign, and may purchase up to two tickets at $100 each. Guest will enjoy an open bar, gourmet food, and unparalleled entertainment. Entertainment includes performances from an array of musical artists including Grammy-winner Naughty By Nature (Hip-Hop Horay), Rob Base & D.J. E-Z ROCK (It Takes Two), YOUNG MC (Bust a Move) and Rapper's Delight (Formerly "The Sugarhill Gang"). Juno Award winner and Canadian rap legend MAESTRO will host the event that will raise funds to United Jewish Appeal’s Campaign 2012.